1 Preheat the oven to 190deg. 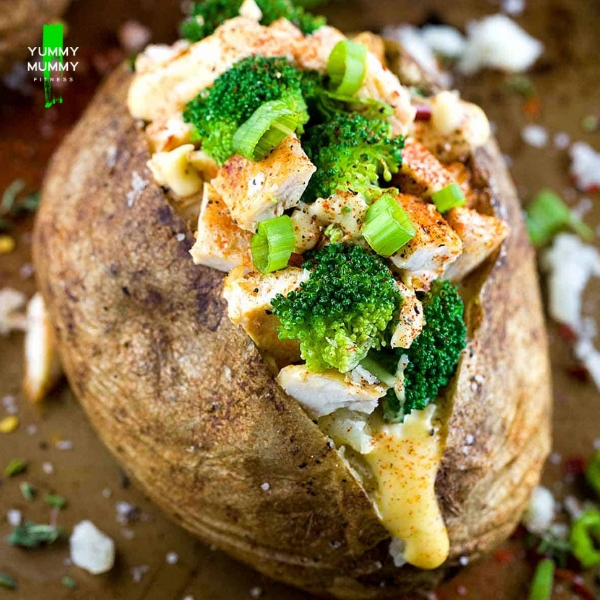 2 Bake the potato for about 60 minutes or more, until tender (a knife should glide easily into the centre without resistance). Or microwave for 3-6 minutes.